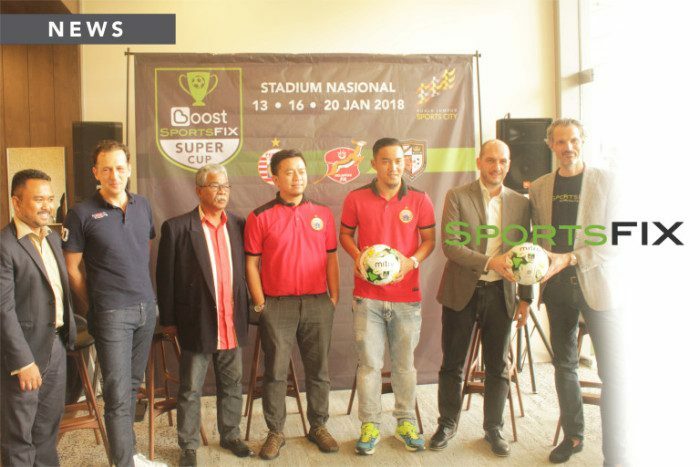 BUKIT JALIL, Former Malaysia Cup champions Kelantan, Indonesia’s Persija Jakarta and Thailand’s Ratchaburi FC will compete in the inaugural Super Cup at the National Stadium on Jan 13-20. The tournament, which offers US$ 10,000 (RM40,845) to the champions, will be used by Kelantan, who have been struggling of late, to prepare for the 2018 M-League. Persija are among the top supported clubs in Southeast Asia while Ratchaburi finished sixth in the just-concluded Thai Premier League. Organisers Total Sports Asia (TSA) hopes the tournament will become an annual affair. “We aim to have clubs from outside the region in the future,” said TSA group chief executive officer Marcus Luer. Kelantan FA assistant secretary Kamarudin Mohamad said: “We will field our M-League team in the tournament. “We are happy and proud to represent Malaysia and we will do our best,” said Kamarudin. Persija defender Gunawan Dwi Cahyo said his club will use the tournament to prepare for Indonesia’s League One competition next season. Ratchaburi will open against Persija on Jan 13 before Kelantan take on the Indonesian club three days later. The east coast side will then play Ratchaburi on Jan 20 in the round robin tournament. Visit New Straits Times for more information.